In March, Kiawah Island was featured in the UK’s The Sunday Times. The Sunday Times is the largest-selling British national newspaper. 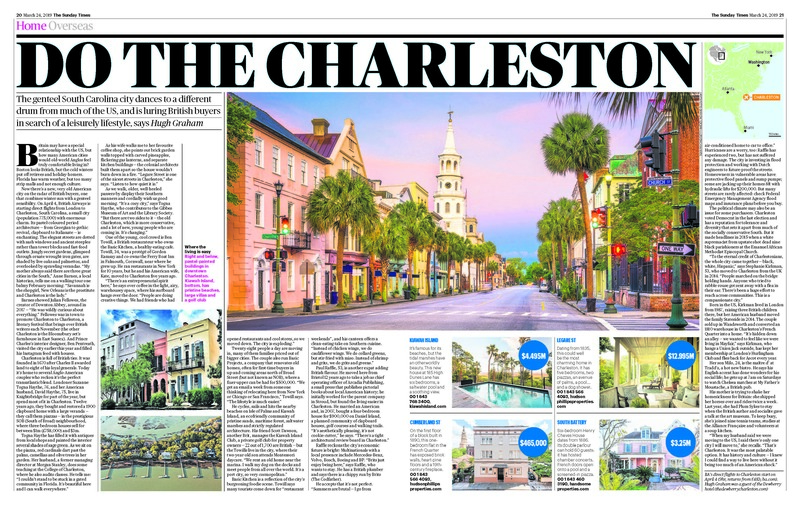 The article, titled “Do the Charleston: why British buyers are being lured to this old American city”, showcases KIRE listing 185 High Dunes, and sheds insights into why Brits are drawn to the Charleston area. There is also mention of the new direct British Airways flight between London and Charleston that will make visits to Kiawah from across the pond easier than ever. This article ran in Home, the pre-eminent, award-winning national property section of The Sunday Times. The audience is educated, ambitious, and affluent, but are also interested in value for money. They adore an exclusive peek into some of the most expensive and extraordinary properties. Each week, Home offers a mix of insight and inspiration, without ever forgetting the chance to cast an irreverent eye over the joyous eccentricities of home ownership.